Service alternates between players every two points. Hold the ball in the flat palm of your hand above the table and then toss the ball up at least 6 inches above your hand and strike the ball on the way down. The ball must be struck behind the white line at the end of the table. The ball must bounce once on your side of the net and once on your opponents side of the net. If the ball touches the net during service but otherwise is a valid serve, it is a "let" serve and is done over. The ball may touch the edge of the table on either side of the net. 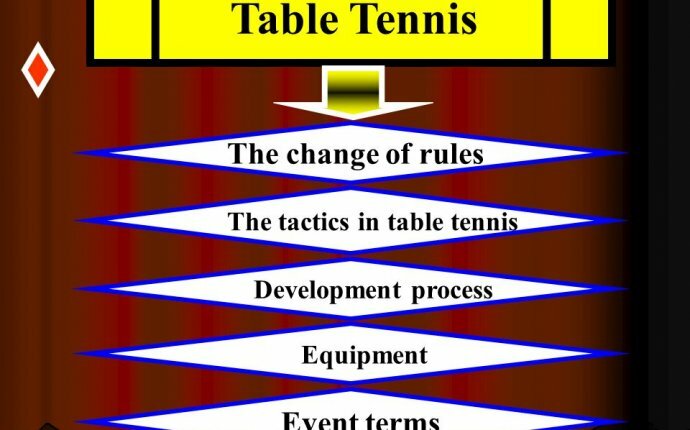 After service puts the ball in play, each player must hit the ball after it hits his side of the table and before it touches anything else. The player must hit the ball so it lands on the opponents side of the table. The ball may touch the net or edge of the table during a rally. A player loses the point if he doesn't perform a proper service or rally. The first person to win 11 points wins the game unless the game is a tie at 10 to 10. If the game is a tie at 10 to 10, service alternates every point. To win the game, a player must win by two points. Matches at the club are best 3 of 5 (i.e. the first person to win 3 games wins the match).